You’ll love taking this MP3 player wherever you go! 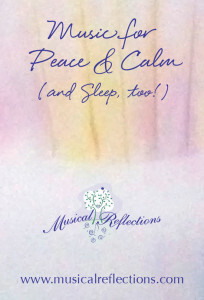 And it’s pre-loaded with four hours of instrumental music by Tami Briggs, therapeutic harpist. Compact design – the size of a credit card! No cassettes, CDs, downloads or internet connection needed … just press “On” and enjoy! Check out this mini-speaker – it fits in the palm of your hand! And it comes with a flash drive that is pre-loaded with 5 hours of Tami Briggs’ therapeutic music. Enjoy! Compact design (3″ x 2″ x 2″). Lightweight, easily portable and ideal for moving from one location to another. Re-chargeable with a long-lasting lithium battery; plays without being plugged in to electricity. Capability to use a flash drive. iPod cord (the AMM Machine can be used as a speaker for your iPod, iPad or iPhone). Instructions for ease of use. All Instrumental Music Flash Drive: Five hours of Tami Briggs’ beautiful therapeutic music on a two gig (2G) flash drive (with free space to add your own favorite songs). “My newest granddaughter, Alison Faith, was born with Down Syndrome and a very serious heart defect. She had major open heart surgery at 10 weeks of age. 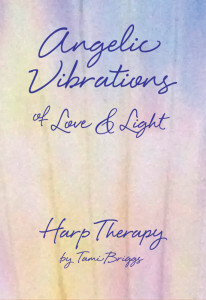 We experienced the incredible power of setting intention and the healing qualities of harp music during her healing journey. She had the wonderful AMMM playing Tami’s music at her side nearly continuously in preparation for this huge event. From the moment Alison arrived in the post-surgical ICU, the AMMM was sitting on the little shelf just above her, playing healing harp music. Staff was curious, then convinced … she flew through all her milestones in only four days without a single complication … really, a miracle! Check out this tiny audio player! 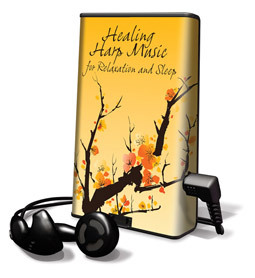 It is pre-loaded with five hours of Tami Briggs’ relaxing harp music and the last five songs are specifically for sleep. No cassettes, CDs, downloads or internet connection needed … just press “Power” and play! Intent begins and ends the circle of musical healing.